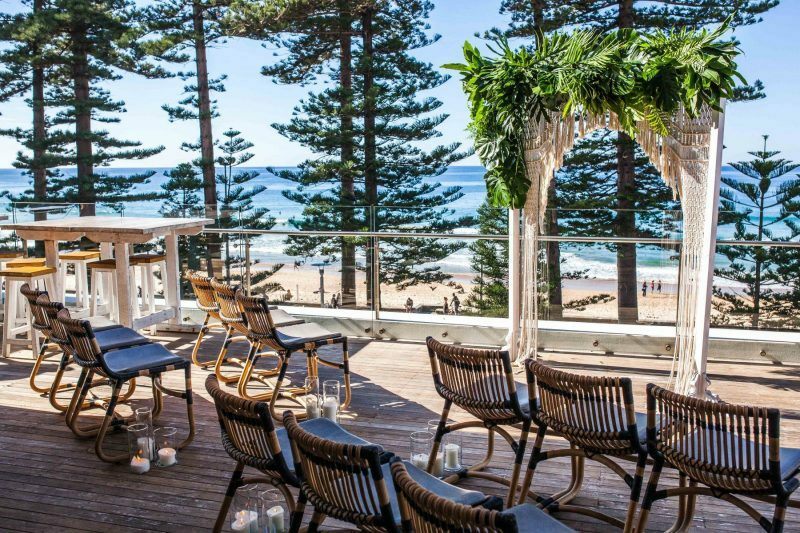 Few Sydney wedding venues tick quite as many boxes as Beachside Dojo – an iconic, waterfront wedding venue located directly opposite Manly Beach. 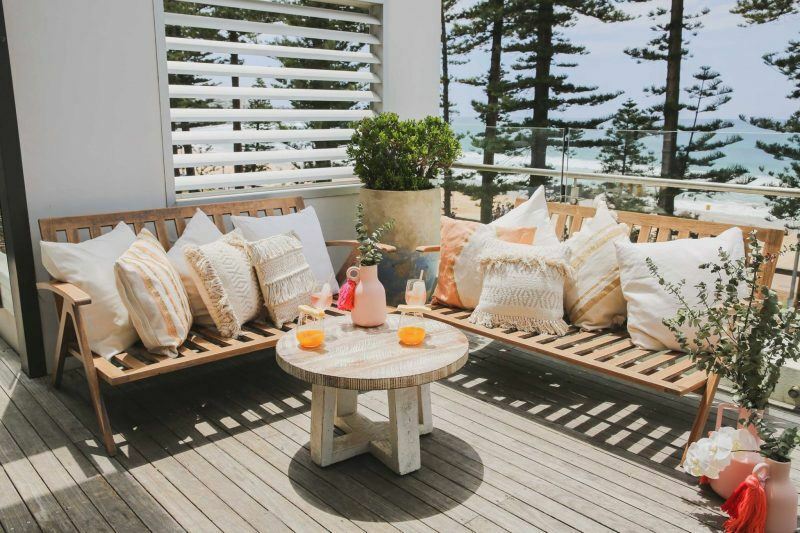 As well as boasting incredible ocean views, it comes with chic Hamptons-style furniture, an awesome menu, beautiful nearby photo locations and a team of well-trained staff. We’d usually say places like this are too good to be true, but we’ve experienced this space first-hand and it’s the real deal. 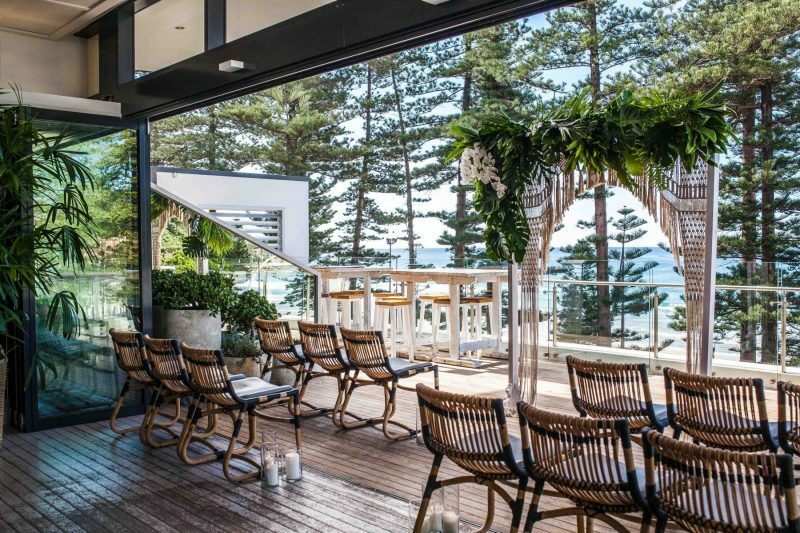 Here, we dive into a few more details around what goes into creating a relaxed, Beachside Dojo wedding and why this Northern Beaches wedding venue is such great value. Let’s start with the three w’s: what is Beachside Dojo, where is it, and why should couples celebrate there? 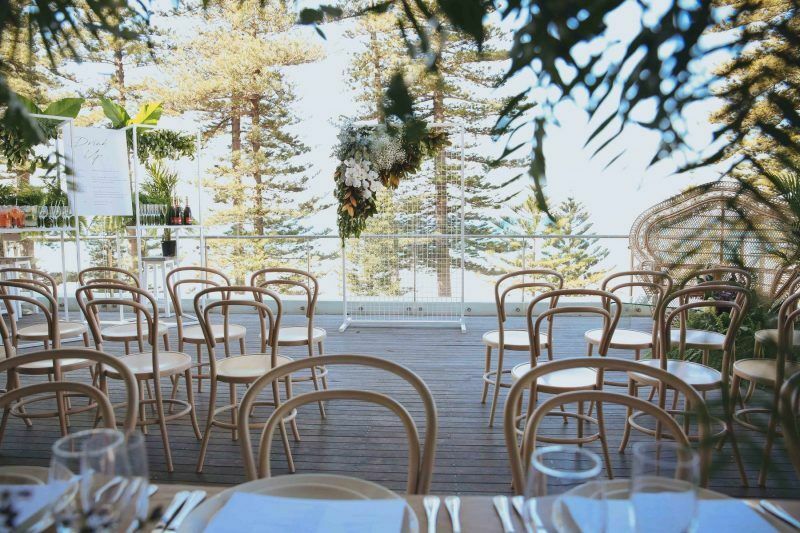 Beachside Dojo is a unique wedding and event space that is tucked neatly above the famous Manly pine trees. 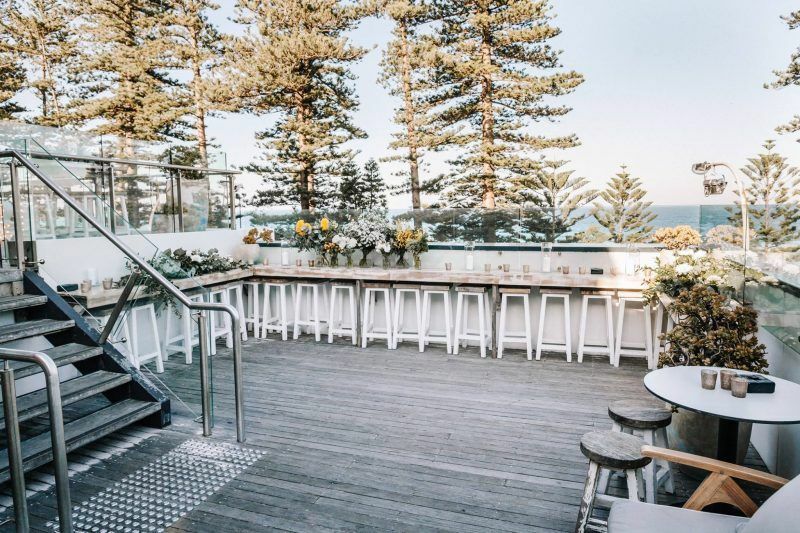 We are located directly opposite the iconic Manly Beach, boasting sweeping ocean views from our private rooftop terrace. Our architecturally designed space reflects a white, crisp, relaxed Hamptons style feel – the ultimate Manly lifestyle. 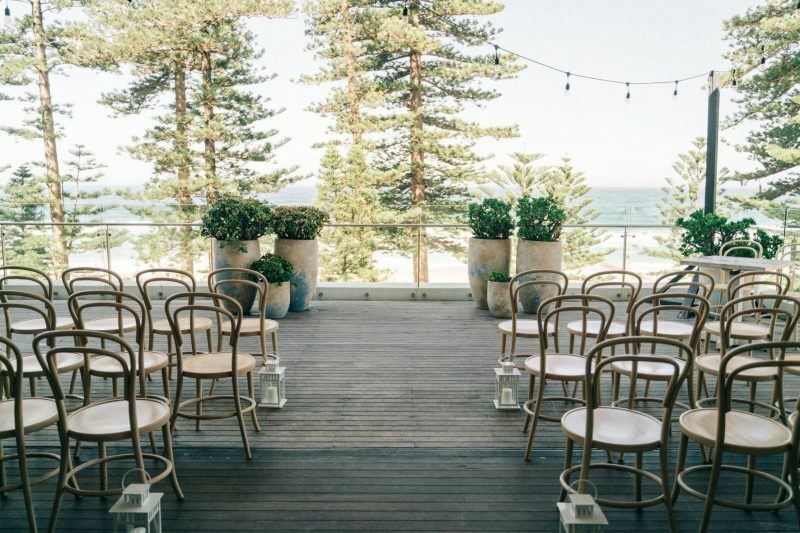 Obviously weddings in the warmer months are popular at BD, but we love the idea of watching the wild ocean from your awesome balcony in the winter months too. 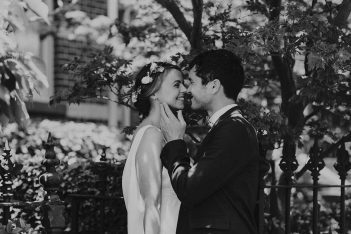 Why should couples consider a winter wedding at your place? There is something so romantic about the ocean in winter and that’s why we are seeing a lot of couples saying their I-dos in the cooler months. The weather can be a little more predictable (you are already planning for the cold) and a little drizzle or fog here and there makes for the most magical photos. What kind of food do you guys serve up? Our menu curated by Executive Chef David Clarke, draws inspiration from the bond between Japanese and western culture. 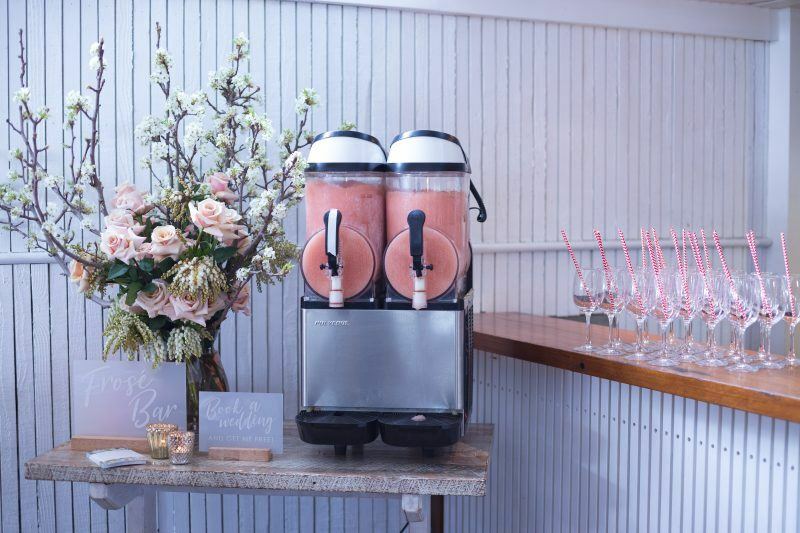 No matter what type of wedding you want to host, we have an option to suit. 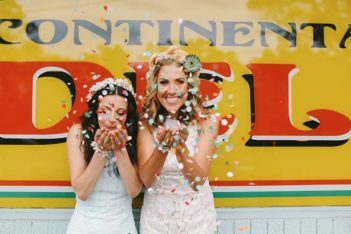 From delicious canapés and our popular grand feast menu to creative experience stations you can add for a little extra flair! 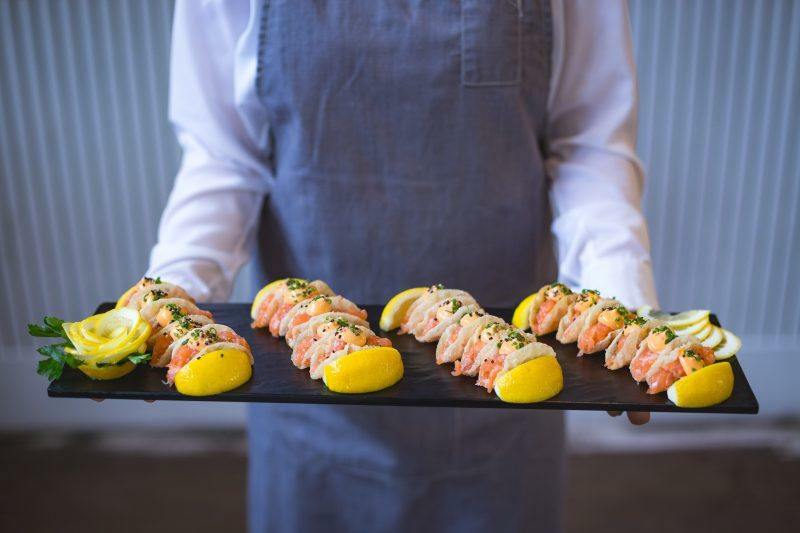 Options include a rosé station or a sushi and sashimi station which comes with your own personal chef! Can you tell us about the team that look after weddings at Beachside Dojo? We have an incredible team of event experts that are here to help you at every step of the way. The lovely Kia who joined us in September has a world of experience under her belt. 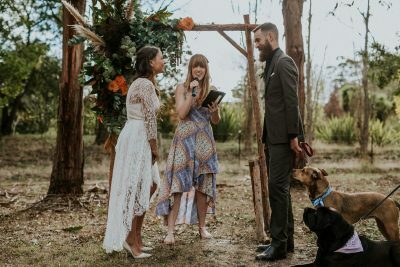 She literally knows everything about the local wedding industry! Just ask. What about styling? How much do couples need to do and what’s already there? The best thing about getting hitched at Beachside Dojo is that there really isn’t a lot you need to do. Our architecturally designed space boasts that white, fresh, crisp Hamptons aesthetic. 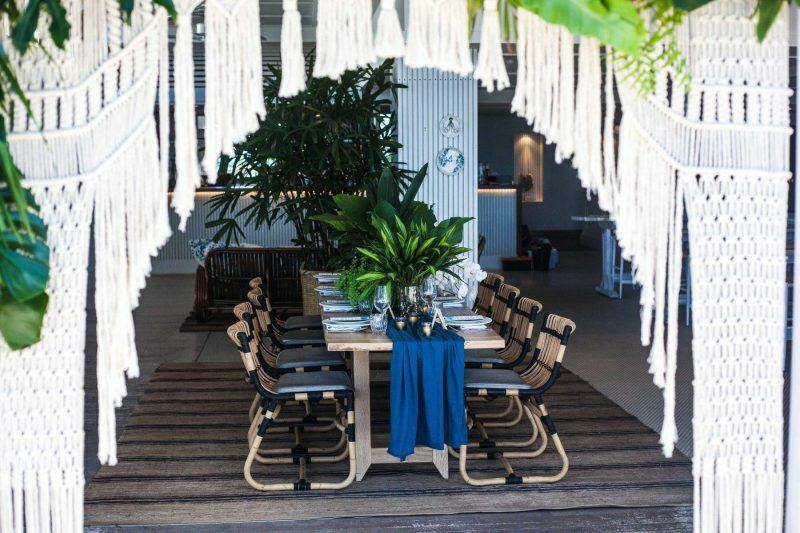 We have worked closely with our stylists to create a unique space that comes ready with an abundance of beautiful green plants, white-washed furniture and smaller styling objects like our black bird cage which couples often use as their wishing well. Do you know of any great spots to slip away and have some wedding photos done as a couple nearby? Yes! 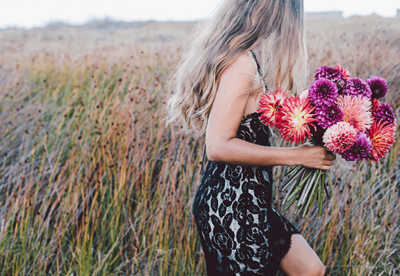 There are so many amazing options close by to get that million dollar wedding shot. 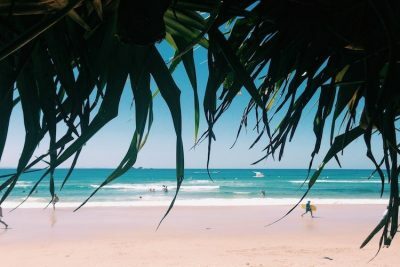 Slip down to Manly Beach (directly opposite us), head up to North Head for some amazing city and harbour views or sneak off to Little Manly or Shelley Beach for a more calm seaside shot. 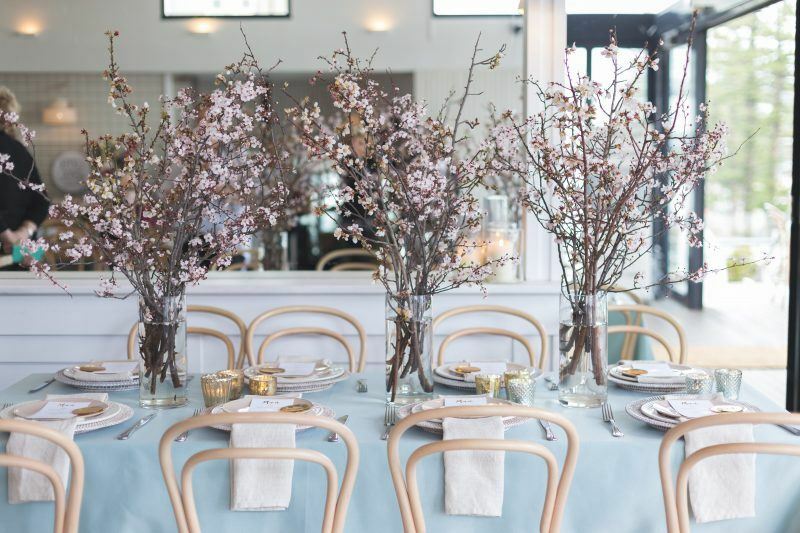 There’s a bit of a misconception that wedding venues are all outrageously expensive. We’re keen to help couples understand all that’s actually involved in bringing their big day together – are you able to tell us what happens from start to finish for anyone thinking about getting married at Beachside Dojo? 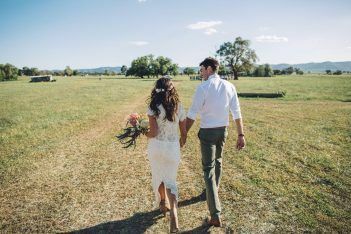 Weddings in general can be an expensive affair, so it’s really important for us to work with our couples and work within their budget. 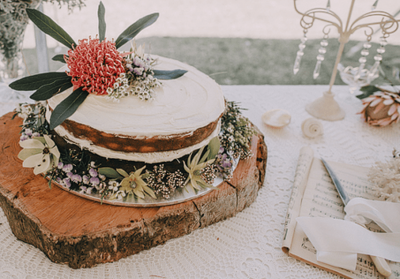 You’ll often find that the DIY weddings you see on Pinterest are actually a lot more expensive than hosting your nuptials with a wedding venue. 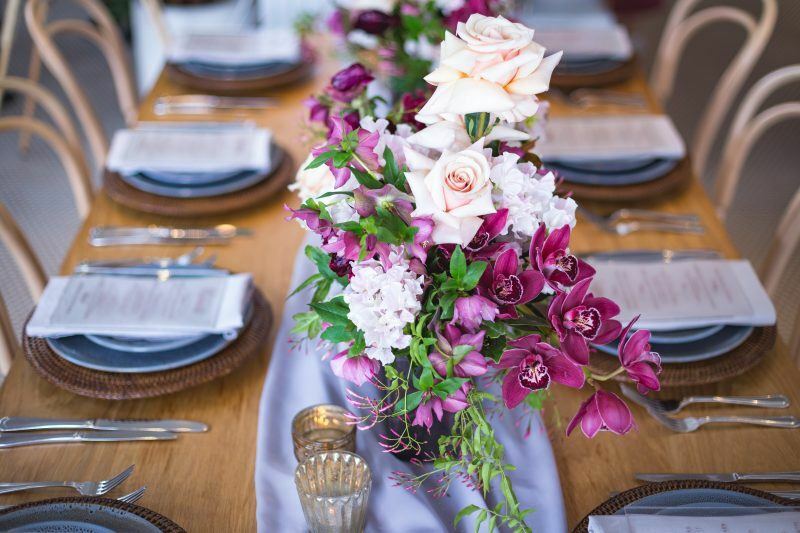 Your wedding coordinator at Beachside Dojo will work closely with you and recommend the best possible options for what you want to achieve for your big day. We have an array of amazing menu options all at your fingertips as well as an entire team of experienced wait staff that will work to make your day as magical as it should be. 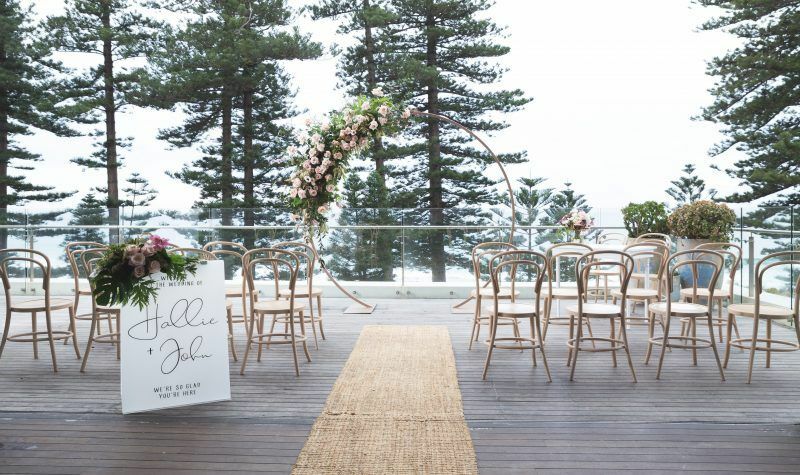 Not to mention the peace of mind you get as a result of working with an experienced wedding venue like Beachside Dojo! It allows you to sit back and really just enjoy the process. What do you think makes Beachside Dojo great value? Beachside Dojo works perfectly for those couples who want everything under the one roof. 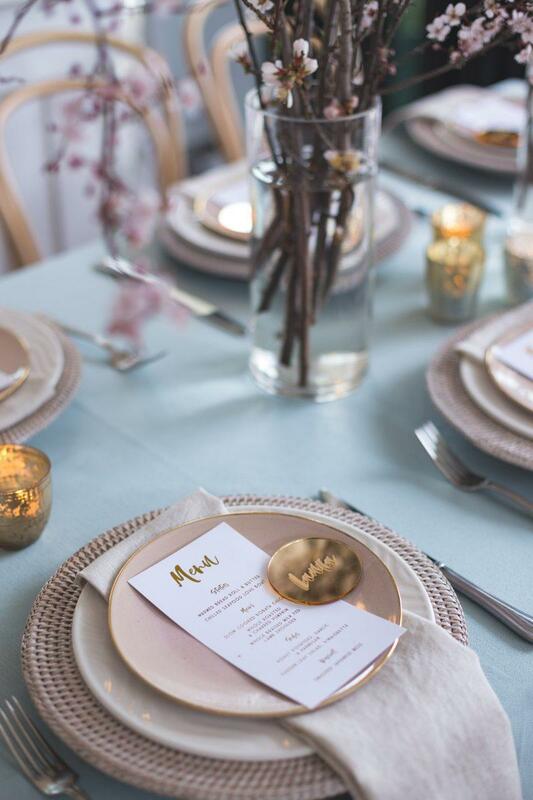 Our beautiful furniture, styling ornaments, wait staff and amazing menu is already here for you, meaning the decision-making process is quicker and a lot easier. Being the flexible venue that we are, we can cater to any style or budget. 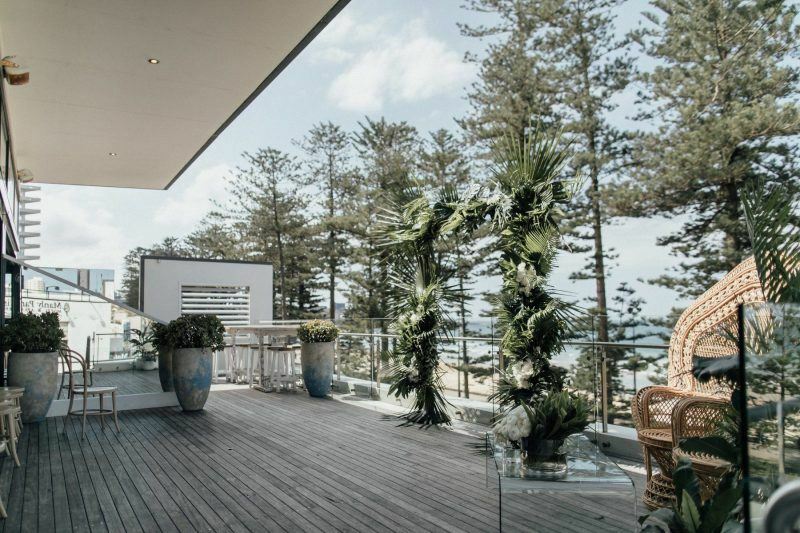 For more info or to make an enquiry with Beachside Dojo, head to their WedShed profile here. 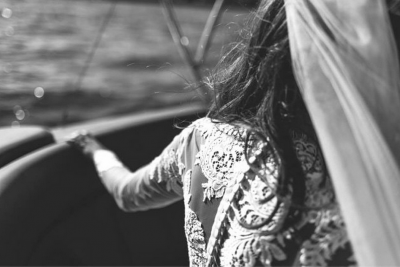 Interested in more waterfront wedding venues? Right here. So we got married. Now what?